Hello again and Happy Holidays! I hope your Thanksgiving break was a good one. I had the pleasure of trying a new rub from the folks at Vinegarize last week that is worth sharing with you. Their Hot blend is so good on chicken wings you won’t need to sauce them after the cook. In addition, the folks over at Vinegarize are having a Cyber Monday sale with $1 off all bottles of their seasonings and free shipping on orders of 3 bottles or more. You will not need a promo code for your orders to get this promotion. You should know that a percentage of their web profits will go to Autism Speaks, a company dedicated to promoting solutions, across the spectrum and throughout the lifespan, for the needs of individuals with autism and their families. 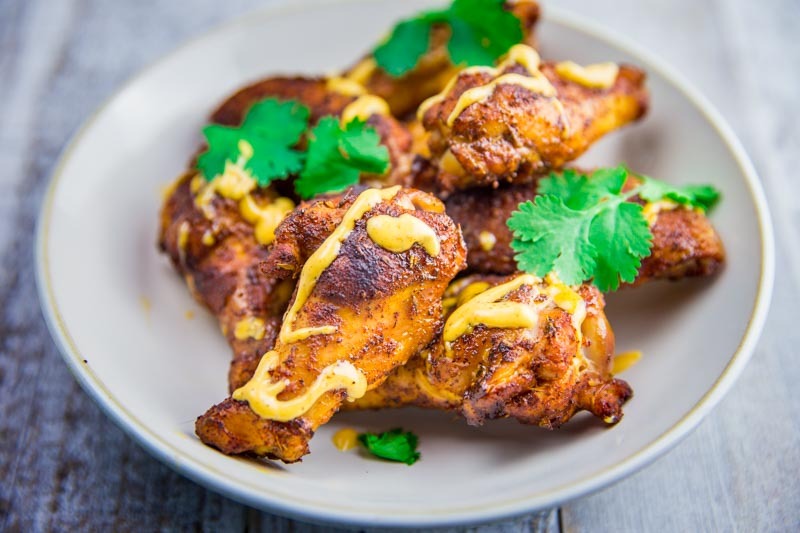 Now sit back, grab an ice cold beer, and enjoy this post for Vinegarize IT Hot Chicken Wings. The Hot blend from Vinegarize is a blend of hot spices including habanero, cayenne, and sriracha. The rub has a nice burst of vinegar flavor that balances the heat of the peppers. After rinsing and then drying the chicken wings pour the Vinegarize IT Hot blend over the wings covering the front and back evenly. For this cook, the Big Green Egg was stabilized at 250° and set for indirect cooking. Apple wood added a hint of smoke to the wings as they cooked for 1.5 hours. When the wings measured 165° using a Thermapen they were done. Resting the wings for 10 minutes before serving allowed the flavors to meld and the juices to redistribute. I am a big fan of this rub from Vinegarize and recommend adding it to your arsenal of BBQ rubs at home!